To promote the understanding and acceptance of the ability of persons with learning disabilities to lead meaningful and successful lives. Mary Jones , CD1 of St Andrews, NB, retired from the Canadian Armed Forces after 25 years of service in 1995. Following a brief career as a private business owner and part time Office Manager with Fundy Community Foundation in St Andrews she took the position of Office Manager at Kingsbrae Horticultural Garden Inc. where she is still employed. 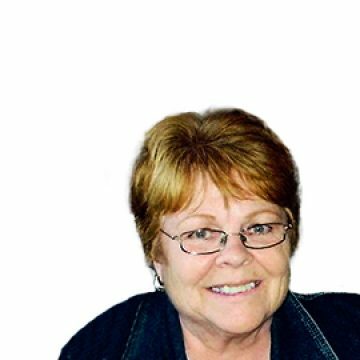 She has been an active volunteer with a number of local and National charities including The Kidney Foundation, Charlotte County Cancer Society and The Heart and Stroke Foundation. Family circumstances led her and her sister to founding a local Chapter of LDANB in St Andrews in 1997. She has served on the Board and of Directors and Executive Committee of LDANB, filling the Secretary, Funding VP and President position over the past 15 years. 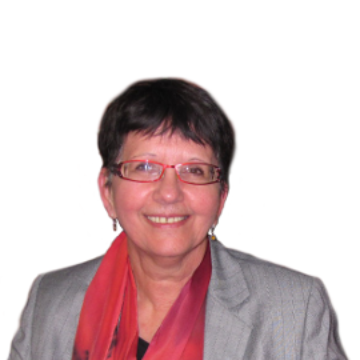 Fabienne McKay is a past president of LDANB TAANB and has served as vice president of the association. She is a past member of the Learning Disabilities Association of Canada’s National Board of Directors. Along with representing LDA Saint John Chapter as their president she volunteers as their office coordinator. She has been a member of the Saint John Ability Advisory Committee; the Literacy Coalition of New Brunswick; the New Brunswick Disability Executives Network; and more recently worked with the Government of New Brunswick’s Employment Action Plan Working Group. She was co-chair for the 1997 LDAC National Conference in Saint John, and has received several awards recognizing her work with disability organizations, including the Queen’s Jubilee Medal for work with Learning Disabilities in 2002; the Saint John Ability Advisory Committee Volunteer Award in 1999; the LDAC Volunteer Recognition Award in 1997; and a National Access Awareness award in 1997. After being away for a number of years, Ainsley Congdon was happy to return home to New Brunswick in 2015. Ainsley has a Bachelor of Arts from Mount Allison University with a major in English and a minor in history, as well as a Bachelor of Education from the University of Prince Edward Island. After teaching in New Brunswick for five years, Ainsley worked with high risk youth at a residential group home and taught in the English Department at Algonquin College in Pembroke, Ontario. Ainsley is now the Learning Specialist at the Learning Disabilities Association of New Brunswick and is responsible for the management of the Barton Tutoring Program, overseeing social media and website content and was involved in the planning and organization of the 2018 symposium on learning disabilities.